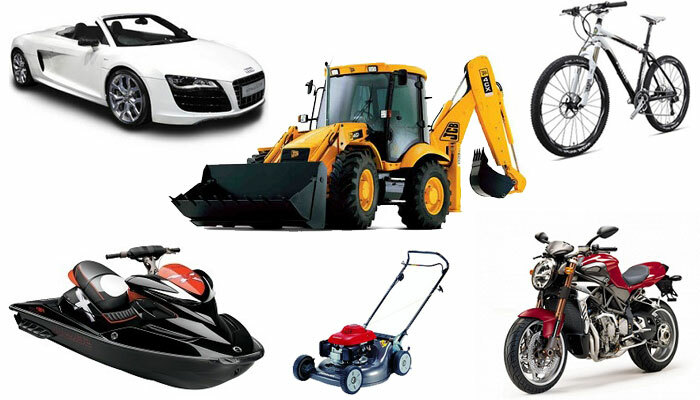 Units can be Motorcycles, Cycles, Boats, Jet skis, Cars, Trucks, Equipment or other items with serial numbers. Evopos can deal with different type of units as the data fields can be configured to suit each type of unit. Units can also have sub-units so you could link for example a Jet ski and a Trailer, or even Ships with multiple engines, generators, air conditioners etc. Evopos enables you to track sales and work on any customer or unit. Our powerful search engine gives you multiple searching abilities, you can search by make, model, rego/ref no, VIN/HIN/Serial no, engine no and stock no. With Evopos you are able to buy and sell the same unit multiple times and still keep all the history under one record, this gives you a full overview of the life of the unit. See a complete history detailing every event, history includes sales, purchases, trade ins, workshop jobs and prospect enquiries. Each can be drilled into for more information. Every unit is assigned a type, this type defines what fields are available for the unit and can easily be reported on. Evopos allows you to record floor plan details such as trust receipt, intrest expiry date and floor plan expiry date. Any transaction can be booked internally to a sales unit, these expenses will adjust your cost enabling you to see a true profit. Set up to 6 pictures for each unit, these can be used with our brochure or online. Evopos will handle the tax when purchasing used units, this rate can be adjusted and also changed for trade sales. Create a contract for a unit and take a deposit, this can include your own terms and conditions. The unit is also marked as reserved to the customer. If you have multiple stores you can easily transfer a unit between two stores with one simple click. Easily handle finance deals by allocating payment against a finance company, you can even handle a settlement with a finance company for used units. Reports can be produced for new, used or all units, sold, in stock or held on commission, for any period and in many formats. Evopos can also automatically update to integrated Web sites as you buy and sell, complete with pictures and descriptions. Create custom properties for units, these can be assigned to multiple units or just one.